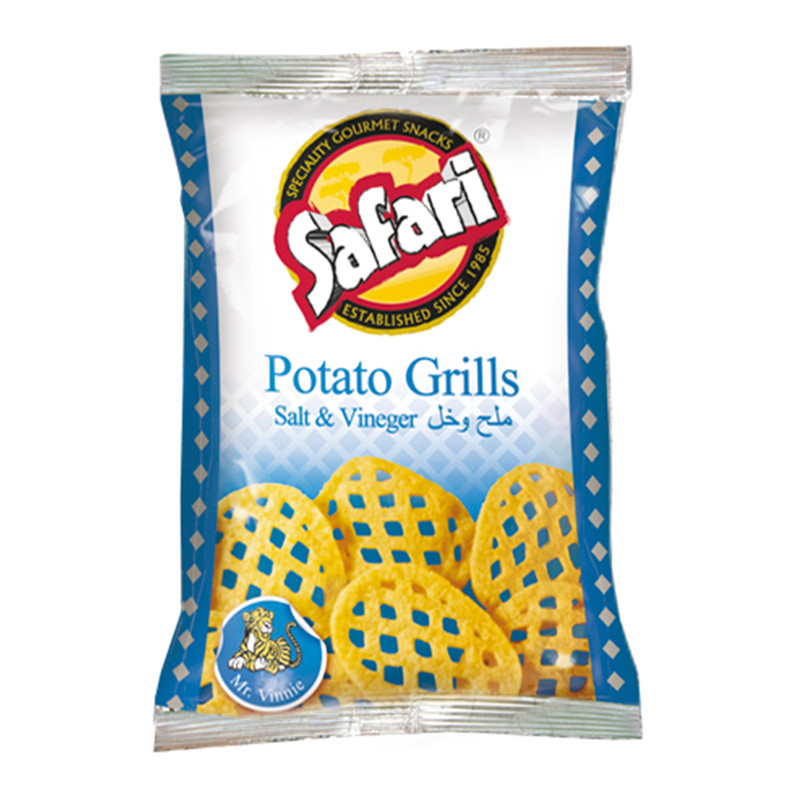 Join Mr. Chi Lee the Lion in enjoying this crunchy, classic UAE snack! 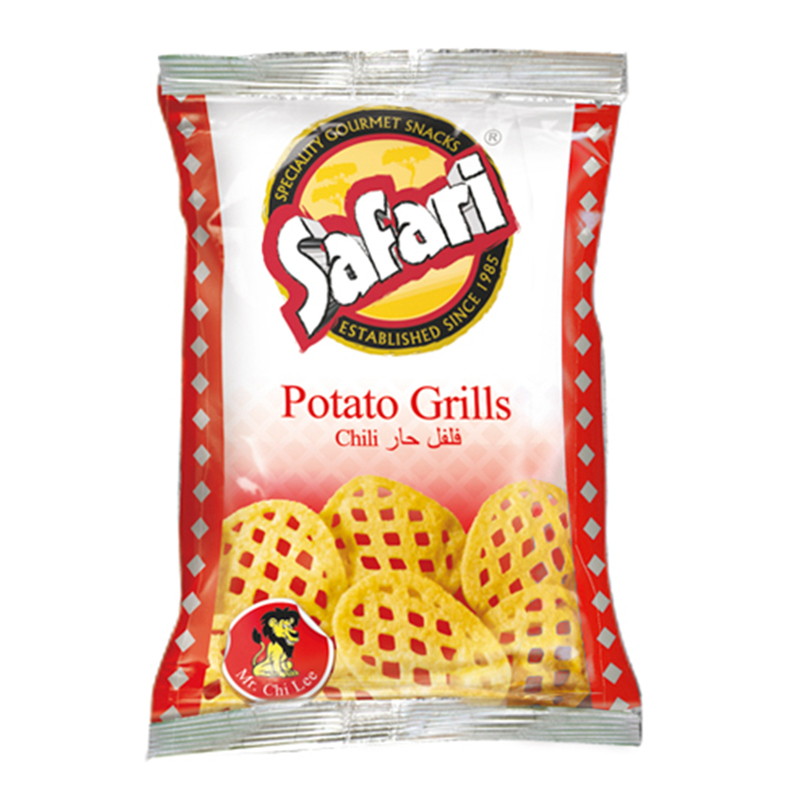 Safari Potato Grills Chilli are flavoured with all natural chilli and a special blend of spices to take you right back to your childhood with one lion-sized bite! 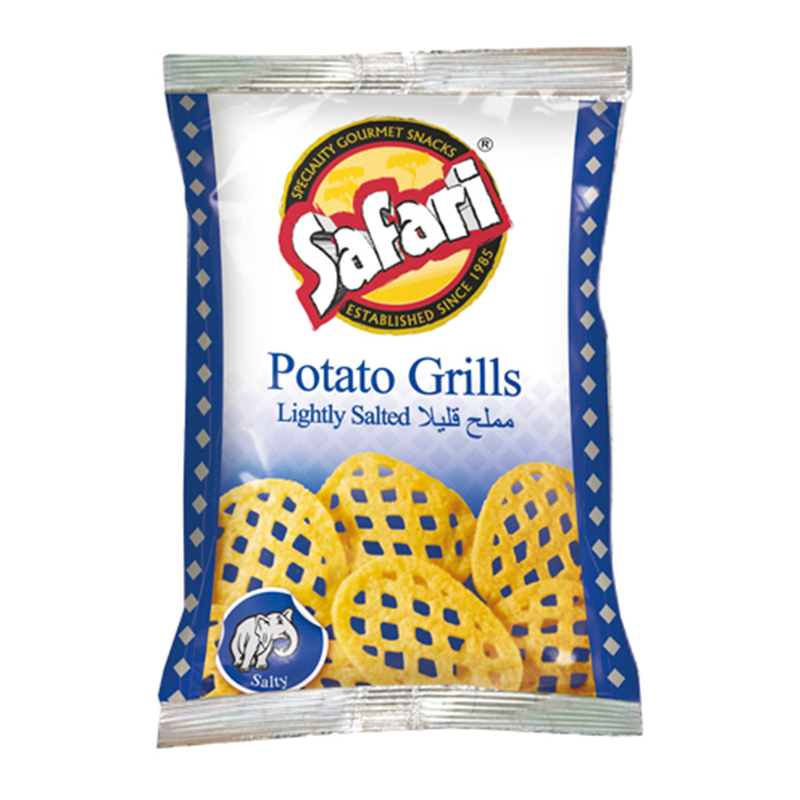 Safari Safari Potato Grills – Chilli (20gm) 20gm Packet. Potato Snacks, Non GMO, No Preservatives, No Artificial Flavours, No Artificial Colours, Vegan, No Transfat, No Cholesterol, Halal. Potato powder, rice flour, modified starch (potato), starch (potato), sugar, salt, hydrolyzed soya protein, emulsifier (soya lecithin’s), spice (turmeric), palm olein oil, chilli flavour: [wheat flour, sugar, salt, spice extracts (pepper’s), dextrose, flavour enhancer (E621), vegetable powders (onion Powder, garlic powder, beetroot powder), spice (chilli blend), hydrolyzed vegetable protein, colour (E160c), smoke flavour, anticaking agent (E551), rusk (wheat flour, salt), ground spices & dried herb (cumin, paprika, oregano, black pepper, fennel), malt flour, vegetable oil (rapeseed), acidity regulator (E330)]. Crunchy and fiery. I get my husband to buy them for me whenever he goes to Dubai on a business trip. I just can’t get enough of them! Ï love the cruncy Taste of this wonderful Chips. I am eating this chips for the past ten years and i love it in every way in all seasons.